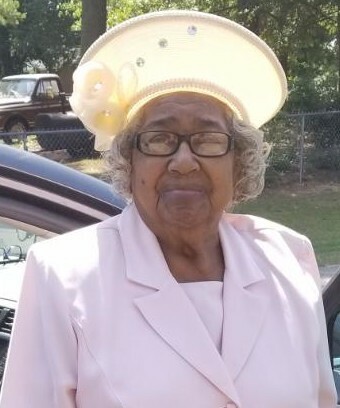 Mrs. Emma Lee Dunn Hinnant, 87, of 6187 Vance Street, Bailey, NC, passed away at her home on February 13, 2019. The funeral service is scheduled for Saturday, February 16, 2019 at 1:00 pm at Atkins Memorial Tabernacle, 6740 Rock Ridge Sims Road, Sims, NC. Pastor Ervin Powell will deliver the eulogy. Burial will follow in Middlesex Memorial Garden. A public visitation will be held on Friday, February 15, 2019 from 2:00 pm until 6:00 pm with a wake service beginning at 6:00 pm also at Atkins Memorial Tabernacle. Arrangements are entrusted to Stevens Funeral Home, 1820 Martin Luther King, Jr., Parkway, Wilson, NC.